It became evident Tuesday night that one of our requests to Telstra as discussed with them on Monday had not be actioned and another visit was necessary, so Wednesday we headed off to George Street second floor. A Telstra account specialist confirmed that our request had not been acted on and tried for about fifteen minutes to have this request actioned but all she got were “system errors” on her PC. She then phoned what I supposed to be a Telstra troglodyte ensconced in the Telstra catacombs. After she mumbled some mysterious incantations about verification codes the troglodyte who apparently had “the power” undertook to make the required change. Now this really impressed me as when ever I phoned Telstra I was directed to the Mumbai call centre whose staff seemed to have been instructed that no information should be given out until the customer had been transferred at least three times and then the information to be given out was randomly generated by a computer with no reference to the customers query. And now I find that there is actually someone in Telstra who can be phoned and can make things happen. Alas, we mere mortals do not possess the special incantations necessary to make contact with this wondrous being. 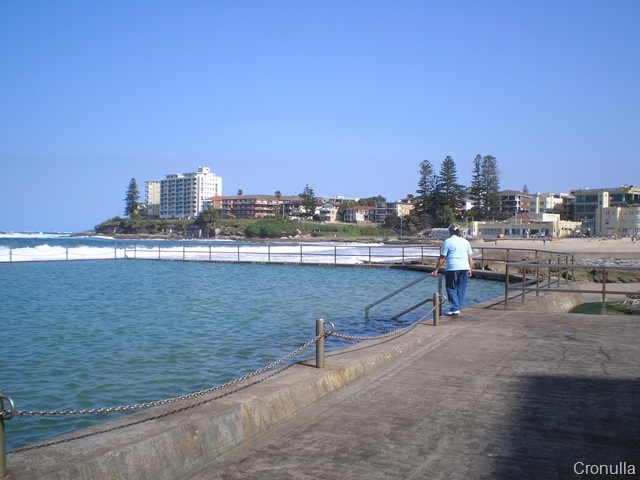 We then rode the rails to Cronulla. This was another enjoyable train trip that showed us a different part of Sydney. About an hour on the train. We wandered over to the beach but it was rather windy and the beach was closed because of dangerous surf conditions. It was good all the same. We arrived back at our van about 17:00. Thursday we decided to head for Katoomba. About a two and a quarter hour train trip from Central and all included in our $2.50 day pass. Not bad value! 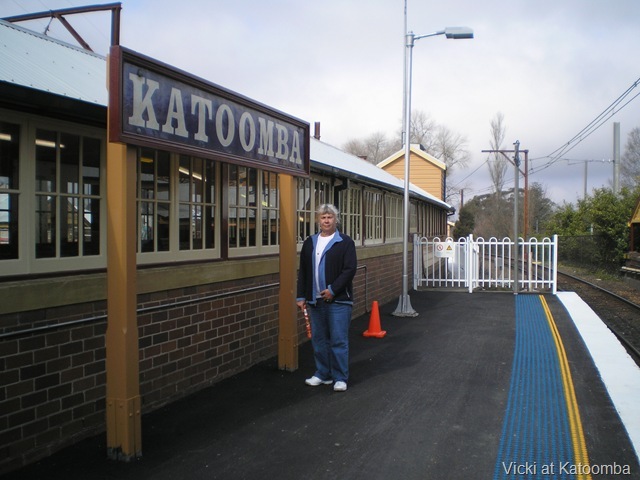 Got to Katoomba about midday and the first thing we did on leaving the train was to put more clothes on as being at 1,000 metres Katoomba was a bit colder than Sydney. Katoomba seemed to consist of cafes and book shops, wonderful. We found one of the best antiquarian book shops that I have seen. Unfortunately we couldn’t do it justice in the time we had. Took the return train home at 14:30 and by the time we had switched trains at Central and then travelled to North Ryde it was about 18:00 by the time we got home. This entry was posted in On the wallaby. Bookmark the permalink.